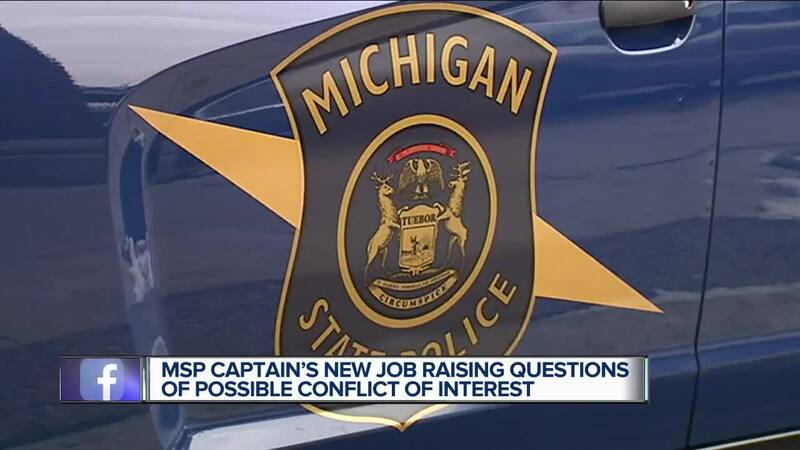 Michigan State Police are responding to questions involving one of their own, retiring to work for a software vendor he supervised. The police captain is one of two officials with MSP who supervised a $12.2 million dollar contract with the company, to develop a giant database of citizen information. (WXYZ) — Michigan State Police are responding to questions involving one of their own, retiring to work for a software vendor he supervised. The police captain is one of two officials with MSP who supervised a $12.2 million dollar contract with the company, to develop a giant database of citizen information. Captain David Kelly is currently the commander in charge of information technology and will retire on April 30th, to work for Information Builders as confirmed by MSP. Chief innovation officer Deepinder Uppal resigned a week ago, but hasn’t said what his next job will be. Michigan is currently a state that doesn’t require public servants to “sit out” for a period of time, before accepting a job from a contractor. After 26 years of honorable service to the Michigan State Police (MSP), Capt. David Kelly, commander of the Technology Division, is retiring effective April 30, 2019. Captain Kelly has been a driving force in moving MSP technology projects forward and his retirement will not go unnoticed. However, the MSP has very talented and capable members ready to step up and take on the challenge of leading the department’s technology projects. Captain Kelly has given us permission to confirm that he has accepted a position with Information Builders, a multinational technology corporation, that has also been a vendor of the MSP for over a decade. The MSP does not have any concerns about Captain Kelly accepting a position with Information Builders. Mr. Deepinder Uppal tendered his resignation effective April 8, 2019. Like Captain Kelly, Mr. Uppal has provided valuable insight and expertise into improving our technology systems. We thank him for his service and wish him well in his future endeavors. Mr. Uppal has indicated he has several employment opportunities that he is currently exploring.